Packages may be integrated as a complete system or purchase separately. Easy to use for non-accountants as well as accountants. Allows entry of transactions using debit/ credit method or plus/ minus method. Prints complete financial reporting, at any time, for any period, past or present. Allows processing of next period without "closing out" the prior period. Easily processes recurring "standard entries" such as depreciation. Allows entry for clearing and voiding checks. Prints automatic banking reconciliation report. Has on-screen inquiry of checkbook transactions. Allows multiple general ledger "fund" accounts to be contained within a single "checkbook" for easier fund accounting. Allows entry of budgets for expenses/ revenues. 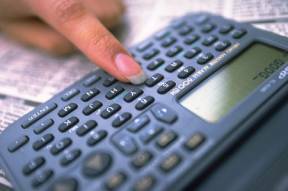 Annual budgets may be automatically or manually divided into monthly budgets. Produces report of "actual/budget comparisons". Produces report of "percentage of budget used". Processes salaries, hourlies, commissions, bonuses, etc. Automatically computes taxes, withholdings, and contributions. Prints monthly, quarterly, and annual tax reports. Automatically updates to general ledger. Pays bills and prints checks. Easy selection of invoices to pay. Tracks products held in quality control. Tracks products consumed, lost, or disposed of. Produces misc. reports including inventory value, items on order, items on back order, items below reorder, product catalog. Activity reports showing beginning/ ending inventory. Allows barcoding of shipping, receiving, and physical inventory. Ages all accounts and amounts due. Ages accounts by remaining balances or unpaid invoices. Allows multiple accounts per customer. Automatically processes "recurring charges" such as monthly installments, subscription charges, quarterly fees, etc. Easy entry of purchase orders. Prints formal purchase order form. Automatically updates inventory, accounts payable, and general ledger. Allows for price override at time of order, receiver, and invoice voucher. Purchases inventory and non-inventory items. Allows for barcoding of receivers.